Recovering Sediments from the F-hole! 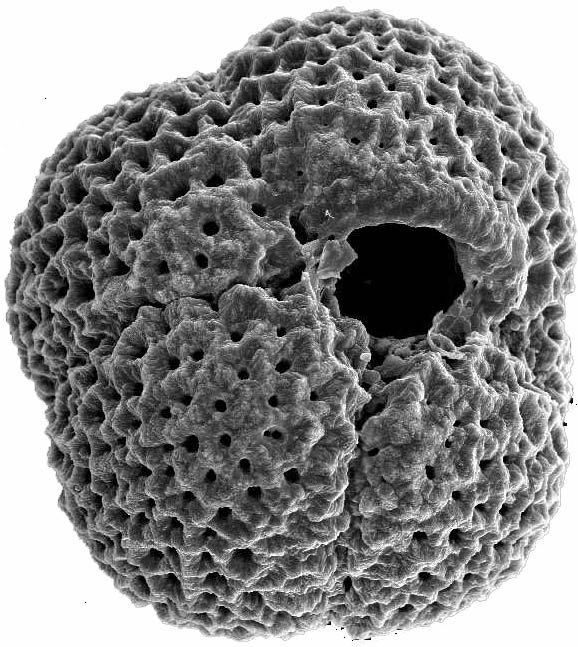 Microfossils keep secrets of the season they were living in, i.e. the temperature, salinity and the nutrients in the sea water. The Neogloboquadina pachyderma, a type of foraminifera pictured here, shell or test coils left in cold waters and right in warmer waters. No one knows why this happens. Paleontologists try to listen to the ghost voices…. and make themselves messengers of the tiny tests… by making estimates of the temperature of the sea water. These tiny time indicators lived thousands of years before we were born. I love looking at the photographs that have been taken by the micropaleontologists of the tiny fossils and other interesting discoveries found in the sediments. It’s like going to our ship’s art gallery! Some are really beautiful, like the delicate round diatoms and others are surprising, like the pieces of wood found in two-mile deep water a hundred miles from shore. We can see that there are no trees growing here! How did they get here? The mysteries of the earth and the deep sea keep us going… looking for more clues!